NEW HAVEN, Mo. - DongPing Fang is an assistant coach at Murray State University, and he was an assistant professor in the physical education department at Baoding Normal University in China from 1986-1992, where he taught volleyball, among other things. Fang has plenty of international volleyball experience, and was a top men's player in his home country of China. 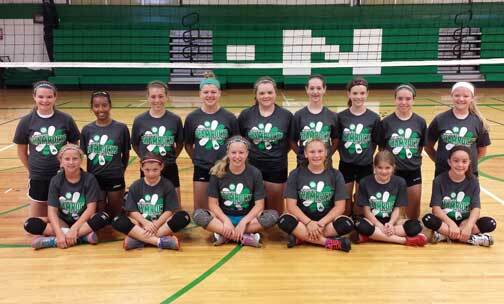 Twenty-six girls in grades 9th-12th participated in New Haven’s annual summer volleyball camp, hosted by Fang, which lasted from June 16 through June 20. During that same week Varsity Volleyball Coach Jaime Honer and her coach staff held sessions for players in grades 4th-6th and grades 7th-8th. 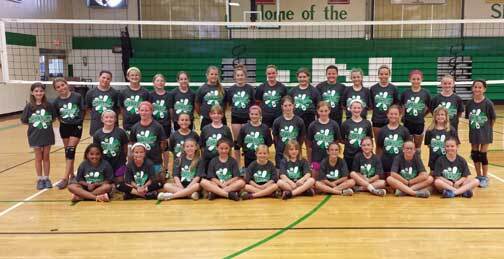 Pictured below are the 36 girls in grades 4th through 6th who attended camp.